Been a hellacious week so I treated myself with a little more build time, rather than getting stuck in on the assault squad straight away. Decided to have a little fun and crank out a few characters for the army. Started off with good ol' Alexis Polux, and then kitbashed together a model to stand in for Sigismund until/if FW gets around to doing an official model, at which point he'll just become a basic legion champion. Next up is a bog-standard praetor in terminator plate with a volkite charger and a paragon blade. Hard to go wrong with that load-out, really. The praetor in artificer armor got the Imperial Fists-specific Solarite Gauntlet in lieu of the paragon blade, but kept the archaeotech pistol. A master of signals was required mostly because I love the homage to the old RT era comms officer marine. A pair of artificer armour-clad sergeants round out the group, and will lead the two units of Tac Marines I have planned. It's supposed to be gorgeous outside this weekend, so I'm hoping to get these (and the assault marines) primed and the base colors laid in. Looking forward to it! Awesome progress! I can't wait to see the paint on these guys. @Matthew Beavis: Thanks! Paint in progress pics inbound! @Stephen: Thanks mate! Looking forward to working on some loyalists for a while! @Zab: Thanks! Indeed, I really dig Polux, the sculpt is understated yet heroic. The new Dynat model is sweeeeet, really looking forward to seeing what you do with it! Those FW sculpts never fail to please. 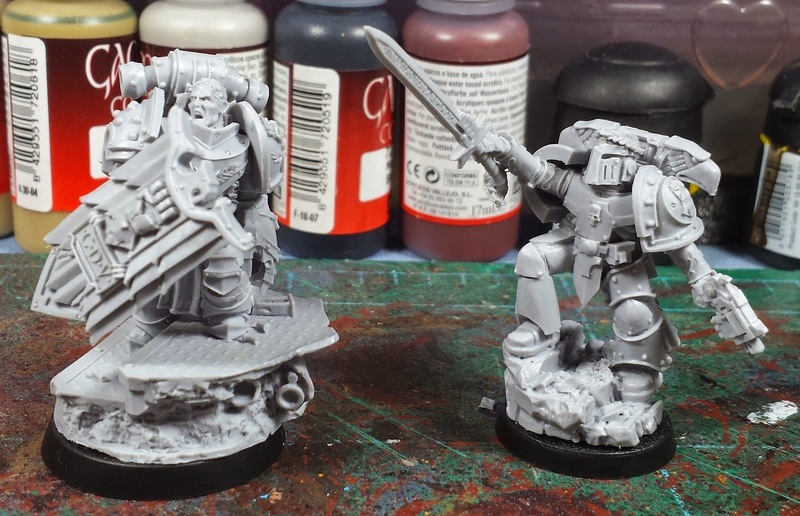 The Terminator Praetor is one of the best character sculpts they've done outside the Primarchs. I too am very fond of the Comms Marine for the same reasons. All of these are very nice sculpts and will look great once painted. 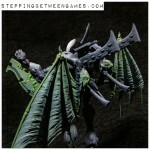 @Frothing Muppet: Indeed, they're just gorgeous sculpts!